Good to see everyone participating; OTC and pas well ahead, rather like Luton T. Well, disappointing game to say the least, although my ‘justified pessimism’ gave me 5 points! The barrel or as the saying goes and I quote..” that f*t b*”##*d was at least effective unlike our ‘upfronters’! Two soft goals and no real shots on goal to give Scottie something to ponder or at least sting his well-padded hands. So to the leaders by a country mile and no tickets on the gate – with a stadium like that – puzzling. My prediction: Loss 3-0 to Luton, no CTFC scorer. I commented on the other thread by mistake. I also went 4-0 Luton with no scorer. No problem - I multitask!!! But we are of the " ..of little faith" club! A very good and unexpected result for Cheltenham - well done to team. And I must also congratulate RCS on, I think, being only predicta to correctly forecast exact score and a goalscorer. Thanks OTC. Not enough for me to make inroads into your imperious position I must admit! 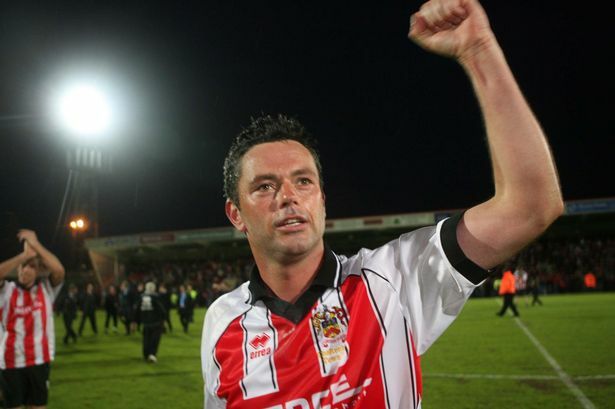 Pride of Glos at stake when CTFC meet a resurgent FGT in April.